It's our family tradition every Christmas to exchange gifts and to open them on the night of Christmas day. Of course the kids are the once much excited since they have the most gifts to receive. It was 6 pm on Christmas day when I gathered all the kids, including the gifts that came from my sis JOYD from Sydney. As you can see there are lots of gifts on the table, we almost got one of those bigger tv stands to put all of them. Anyway, each one of us has gifts to open so we were all excited and we had a good laugh esp. when we tease each other what's inside the box. The kid's eyes light up every time they open their gifts. It's such a nice scene to behold as it is priceless. Hi everyone, I hope you had a wonderful Christmas like we had. Gosh it's been almost 5 days now that I have updated here.. sorry for that. Anyway, we had a fun Christmas. On Christmas Eve my family went to hear the mass, except for my mom who is sick at that time. It was uncomfortable because it was raining and the church is so full already that we are already outside the church standing with our umbrellas. Fortunately the rain stopped during the course of the mass. After mass just ate simple noche buena then went to sleep. Christmas day, as usual there are many kids including my godchildren who came to see me and of course to accept the gifts that I have for them. We went to our relative's house too to eat and receive gifts and to pay them a visit. The kids enjoyed the day. At nighttime, around 6 pm , i gathered all the gifts that we have and one by one we opened our presents. It was so so fun , especially the kids. Their eyes glowed when they got their present. Hahaha.. I got my gifts too, I got perfume etc. I thought I will be getting bamboo blinds for the house but unfortunately no one gave me that. Opening of gifts is always fun since it is much awaited by the kids here. Finished wrapping gifts last night and I had lots of fun doing tt. I know my family especially the kids will be excited to open their presents. Just wanted to share this list that I have jotted down watching my fave Sunday show ANG PINAKA over at QTV 11. I guess for those girls that frequent clubs/discos or whatever , I reckon they have encountered guys who once have spoken these pick up lines. Some are over used already and some are super corny to the max that even guys would hate saying it lol. 1. If I would rearrange the alphabet, I would put U and I together..
2. Are you tired? cause you're running on my mind all night. 3. Excuse me, is your dad a terrorist? Cause you are the BOMB! 4. Where have you been all my life? 7. Is your father a thief? Cause someone stole stars and put them in your eyes. 9. Are you religious??? Cause your the answer yo all my prayers. Finally Got Rid of the Worm at my YM! Last Wed. my bestfriend RACE and I went at Quaipo to buy a new digital camera. 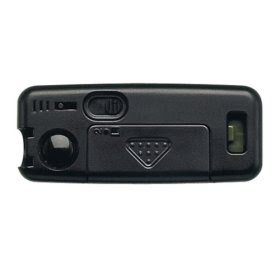 Race bought a point and shoot camera (forgot the model yay!) and it was only P7K, 7.1 MP, with free 2GB memory card and battery and charger. It's already a good price. 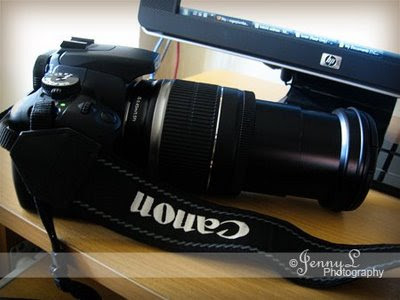 Later on I decide to take my friend at Fans Digital just to show the camera bag that I saw. She later bought a small Kani bag suited for her needs. I am just so angry bec. my Yahoo Messenger was under attacked by a YM virus and the bad thing is I don't know what kind of virus it was. My sister told me that I keep on sending a link that told them to look and click but I haven't sent any. Good thing she is not clicking it. Right now I uninstalled my YM and have not installed a new one yet. I have scanned my pc with an AVG antivirus but it caught nothing. Gosh I really hate it!!!!! Wish I can get rid of it. Wahhhhhhhhh.. There are people who love making other look and feel beautiful. Most often these people will put up a salon to service their clients. My mom in her younger years used to study in a beauty school and later on put up a small salon where she is the one cutting hairs, coloring and hairdressing. It’s a career that most women and of course gays would love to consider as it also a profitable business. If you are intending to take beauty courses and finding beauty schools in illinois then findabeautyschool.com can help you find one. It’s just a click of a mouse and very convenient as they have the most complete, convenient beauty school directory on the Web for your perusal. Beauty schools are searchable by name, state or zip code so it is convenient for would be students. Not only that they also have, tips, guides and news to keep you informed. Yay, I've finally finished my Christmas shopping!! I've been to a lot of malls actually Robinson's, SM, Greenhills Shopping Center and 168 shopping mall for the last couple of days just to hunt down the items that i wanted to give to my loved ones and of course to my dear self. I love shopping and enjoyed it the most if i have lots to spend haha although it is sometimes tiring. I know I have not saved and wasted some time along my shopping habits but what the heck it's Christmas anyway. Last week, up to now and for sure this weekend, malls will be full with shoppers who are trying to beat the holiday rush. If you have not finish your shopping yet, i recommend you to finish it now or else you'll be burnt out hehe. MERRY CHRISTMAS!! It's been months now that I am really craving for Beef Mechado (Beef Stew), i don;t know how to cook it (don't have the talent for that hehe). I remember when I was in college I used to eat in this small canteen and my favorite order is beef mechado and oh gosh it is so creamy and delicious. I love food with sauces especially if it creamy... yummm. Right now I am googling for some beef mechado recipe and hope I can find one that looks tasty and yummy and hope the next time I crave for it, I will just ask mom or sis in law to cook a special one for me. If you have a family recipe pls. share it with me.. Thanks! Yay... I am just so lazy to blog today, it must be the weather and the holiday season. I am also guessing that it is due to my tiredness since yesterday bec. we went on a shopping spree in Divisoria with my bestfriend Racel, my niece and a family friend. We got home so tired and hungry last night and up to now my legs are aching. There are lots of people buying gifts already. that is expiring soon. Anyway, I know all of us are already busy esp. next week so I'm greeting you all MERRY CHRISTMAS!!! Can you feel the cold air already??? It's actually chilly especially in the early mornings and to tell you frankly, I'm already getting lazier each day hihi. I also have no more time to do my morning exercise like before. I used to play badminton in the morning in front of our house but as the days goes by I have neglected that. How I'd wish I have an elliptical workout in the house, maybe it'll rev me up. Anyway, I see shoppers rushing to buy gifts for their loved ones in the malls and that's why malls love it. Stores have been putting up sales to attract more customers bec. I know with the economic crisis hovering us right now some will cut down their expenses. We don't need to give expensive gifts though as long as we give it from the heart, that is all that matters. Now that Christmas is coming, I can see that everyone is busy with all the preparations. I was out at the mall yesterday trying to really finish my Christmas shopping and this time I went to Robinson's Galleria in Ortigas. There was not that many people eventhough it has sale. I guess some have completed their shopping way ahead of time and opted not to go to the mall to avoid the rush. Anyway, it was just super over traffic before I reached Robinson's and there I bought more stuff for my self and others. I wish I can wrap all of my gift by Wednesday. Aside from blogging and shopping, I am also much busy with digi-scrapping, my mojo has been back since last week and I was so happy with that. I am already made 18 layouts for the Photobook that I am making and hopefully by early next year I can have it printed at Artscow. So i guess everyone is also busy these days, and I am wishing you all A Very Merry Christmas.!! It's the time for giving, bonding, loving and of course eating. Just a reminder eventhough we have every reason to eat anything we like bec. it is holidays we should also think that over eating is not a good thing. I know you don't want to get fat and consider having those diet pills next year. This pack arrived the other day. I am waiting this for many days now and it finally came and I am smiling from ear to ear bec. it's from my "mommy". Just in time for Christmas so it's definitely gonna be used. Wahoooooooooo!!! Manny Pacquiao wins at the Dream Match vs. Oscar de la Hoya. Congrats to our very own Manny "Pac Man" Pacquiao for winning this much awaited bout bet. Oscar "Golden Boy" Dela Hoya. I watched the live streaming over the internet even it was a bit slow and we are all excited to see that he won. We could no longer wait bec. at Channel 7 it was still at the undercard fights. At 8th round the fight was stopped so it was a TKO at 8th round for Oscar dela Hoya with a swollen eye. Congrats Manny, you brought another honor to our country !! Go Manny! Go Philippines!! Ok, So I was crying last night not because of anything but while watching my fave telenovela KAHIT ISANG SAGLIT over at channel 2. The episode last night was so touching bec. Garie's father was killed already, portrayed by Albert Martinez. I was able to watch this show from the start and I got really hooked on it bec. there's a mix of Filipino and Malaysian actors and actresses (1st time in Phil. TV). I haven ever liked a telenovela liked this so I was religiously watching it. There's drama, comedy and action in it and the most interesting part is that there is a exchange of cultures bet. Phils. and Malaysia. I am watching in the comforts of our living room and sometimes inside my room and how'd i wish we have an entertainment room with a nice home theater lighting so that it'll be more fun to watch shows or movies. Anyway, unfortunately the show will end on Friday (Dec. 12) already and I am keepin' an eye on the next few episodes on how the story will end. Will Margareth will end up with Rocky? Hmm that I will have to find out! Every year we make it a point to gave a Garage Sale here in our place to get rid of our old stuff that has accumulated over the years. Our neighbors are already get used to us opening our garage and selling our old clothes, shoes, bags, TV and many other things. Sometimes we also put some new stuff to sell of course at a low price that is why we attract customers. Last year we even sold many new shoes that my sis from Riyadh sent us while this year we don;t have much stuff to sell that is why we are closing early. Our garage sale will only be up today because we are also going to be busy this coming week and no one will look over our customers. What about you have you experienced having a garage sale? It’s the time of the year when mom usually loves to have our place fixed or have a sort of renovation. Mom just recently asked our handy man to repaint the colors of our store to make it more appealing and attractive. Also had the other empty for rent space repainted again and the shower faucets in the bathroom replaced after the former occupant vacated it. She also wanted to have gates in our house to be fixed bec. it is rusty already. Mom has so many projects in her mind that she wanted to accomplish especially when she learned that 2 of my sisters and their family are coming home next Christmas of 2009. She also wanted to have our living room sofa to be re-upholstered in time for next year’s occasion. She thinks way ahead of time and that is what I admire her the most. It's been raining for many days now, i guess we have a typhoon (have not heard though in the news) on other parts of the province. I have now every reason to curl up more in my bed because when I wake up each day it's gloomy and chilly making me lazy once again hehe. I am glad that I don't need to get up to go to an office bec. I am the boss of my own self and I can open and close my business any time I want. Right now, it is raining still making it cool and very conducive for sleeping but I don;t need to do that since I am here at my store. I know that some parts of the US has snow already and I could just imagine the cold air brushing on their faces. I bet if I am there, I am going to need an electric blanket to keep me warm coz I am one person who easily gets cold. Yay, I am lucky we don't have snow over here. What about you do you feel the chilly air and the smell of Christmas? 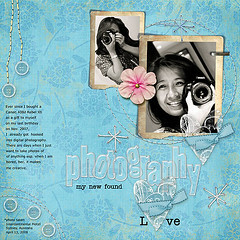 I really do.....The last full digital scrapbooking layout that I made was in July 2008 but I was able to make a digi layout for my niece's 18th b-day tarpaulin. My co-bebots are talking about scrapping over at Twitter and just today I they insipired me because of the hard bound photobook that they ordered over at Artscow. I hope one day I can finish my Australian vacation layouts so I can have them printed. I can't beleive that it as so cheap to have it printed over at Artscow. I am so happy I have found friends through digital scrapbooking, gosh my co-Bebots (as we call each other) are so very generous in sharing tips on where to have our layouts printed at a much cheaper price. Hmm i need to gear up myself soon so I can finish a 20 pages photobook for myself. You can see some of my digi - layouts here and here is my SCRAPS & SHOTS blog, there are some freebies there. I was having a conversation with my niece last night after dinner and as a guardian since her parents are not here, I always ask her about studies and other stuff that she is encountering. She seemed so studious and over and over I kept on reminding her that she needs to do good in school to make her parents proud and of course for her own good. She's going to attend a univ. party (forgot what it was called)tonight and she will not be home tonight. The only problem I keep on hearing from her is she is getting fat (gosh, actually she is not),her dark skin color and her pesky pimples on her face. Actually she it's not that bad since most of teenagers are going through this phase where she will have a break out once in a while but as it is she is always on the look out for an acne treatment that will suit her. I just told her not to put just anything on her face as it will only worsen it. You know teenagers, they always worry about how they look. Not too long ago I was doing same hehe so I can understand where she is coming from. Some of the art work metals hanging near my brother's gazebo. He collects old stuff and love hanging them as decors. He is also a visual artist, won several awards too both at painting and photography categories. :I am just so happy that many bloggers have participated at my birthday contest that I hosted over at my other blog. My contest will be ending on Nov. 30, 2008 and if you still haven't joined yet, you still have time to do so. There are $, Ec credits and banner displays as prizes that await the winners. With all the bloggers that joined and the comments that I have been receiving on my post over at my Jenny Talks blog, haha I know I will have a hard time counting all the entries. Despite that I am so happy bec. it was a success and have increased my traffic in that blog. It was Juz who started the Baby boom in our forum (di-scrappers) over a year ago and would you believe after she sprinkled the baby dust many of the my co-scrappers got pregnant over the year.? We all got excited over it and very happy for our co-scrappers who got pregnant as well. Me being single and still have no plans of having a baby just got contented of wishing that someday I can also experience this magical moment that every woman aspire and hope for. Not all women have good and easy pregnancy though, that some are just advised by their OB’s to be bed ridden. I even had friends who lost their babies while conceiving and this is a major heartbreak for them. Anyway, we have 1 member in the forum (Mich) who just gave birth recently to a baby girl and 2 members (Kaje and Che) who are still pregnant at the moment. Isn’t it co-incidence that they conceive almost simultaneously? 1.Does your age make you feel left out? 2. How do people of the same gender as you but taller than yourself make you feel? A bit envy at time and wishing I'm more taller. 3.When did you last scream? Why? 4. What do other people do that irritate you that you recognize it as a weakness in yourself? 5. Have you ever slipped on a banana peel? Hmm i think when I was still a kid but i never had a bad fall. 7. What do you do when you are left home alone? I was left home alone in Australia most of the times when my sis Joy would send the kids to school or when she's at the gym or when she needs to do to some other things. Sometimes I clean the closet, do the laundry, watch the TV, listen to the music or I'm in front of the computer. I remember I even told my sis to have her old VAIO laptop to have memory upgrade so it will run fast. Good thing she has a 24" iMAc and Macbook that I used. 8. When someone is vague or confusing, how do you process it? 9. Typically, when someone says to you: “I’ll be five minutes”, how long do they actually take? More than that sometimes, coz it's just a figure of speech so I will not take it seriously. 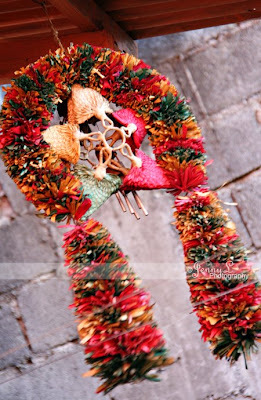 : Are you getting ready for Christmas? Me? Sort of. Our mini Christmas tree in the house is already up, the lights on our garage are being lit every night already but I have yet to decorate my shop with some trimming to have a Christmas spirit inside. I already started to a list of the people and the gifts that I want to give them and hopefully I will go shopping by next week. Yay, kinda exciting. I always remember when I was still a kid I will run on the window where my stocking is hanged to see if Santa gave me somethin'. Hahaha such a nice thought and it is always a pure delight to open gifts. Now it's my time to give gifts to my nephews and nieces and I know how they feel when they open their presents. You know what, last Sunday, I went to the grocery with my family do to the weekly grocery and I saw all the massive supplies of canned goods that we often used for our fruit salad. What I did was to already buy some of the ingredients thinking that their price will go up high hahaha. Oh BTW, I have my fruit salad recipe that we always serve you can try it coz its yummo. Oopps, I almost forgot to share this here. FYI, I am now a proud owner of a new Crumpler Camera Bag and what I got was a 6 Million Dollar one. Actually when I saw it, i never let it go, the good thing is that i had my camera that time so I was able to see how it will look like once it is inside of the bag. Been thinking about Tracy Joy bag too but I have to order it online and it will take weeks for the shipping since it will come from the US so I kinda set aside that bag eventhough it is nice as well. Oh well, you know what I also thought of buying a much cheaper one the Kani bag but i thought that the paddings and the quality are not as good as the Lowepro or TJ or crumpler bags. 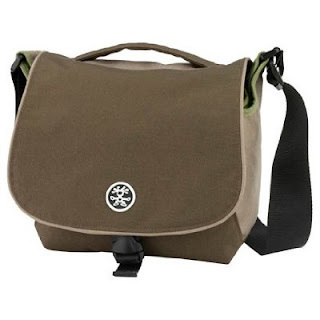 I have photos of my crumpler camera bag and my mini-review HERE. It’s weekend once again and what a perfect time to unwind after working the whole week. Tomorrow I will still open my shop as usual but on Sunday, I plan to go to the mall again, to look for an item that I am eyeing for a long time. Went to Greenhills last Sat. with a friend and saw some nice laptops that we end up drooling about. I also wish I can dip in a pool but that is impossible. There are nice DVD movies that came out lately and for those movie addicts like my bro. this is a good time to bond with the family as well. What are your plans this weekend? Hello all, wazz up? I've been busy this days because as you all know I have celebrated my birthday last weekend. I am also quite busy with some of my online works on my others blogs, I am very thankful that it is pouring on us like rain and I hope it will continue more. Remember Christmas is coming and all of us need money to buy gifts for our loved ones. I have also started my Christmas list that I will buy if it is possible next week, can't wait to shop again! Hmmm, I still need to put some decors on my shop to have a Christmas spirit here. I will only be using old decors for new ones are expensive to buy. If you need to know more of my update just go to my several blogs to know the latest about shopping, technology and more. 1. What measures have you taken to cut back expenses? ~I try not to go to the malls as much as I can. 2. Have you ever bought a book and used the receipt as a bookmark? ~Nope, am not a bookworm too. you still remember vividly? If so, care to share? ~Not traumatic though, but one time my grandpa is sleeping with an open mouth on his rocking chair, I sneakingly put some leaves on his mouth. When he woke up coughing bec. of the (fresh) leaves, he shouted and asked who did it. You know what I did, run as fast as I can on our house and pretend that I did not do it. However, I can't recall if he found out it was me. 4. What is the strangest question you have ever been asked at a job interview? 5. Does it make you uncomfortable if a woman is breastfeeding her baby in public? Sometimes, esp. when the mom will not cover her breast while breastfeeding..yung tipong nag he-hello world ang boobsies . 6. Do you know anyone who has an unpredictable temper? Who?~When my uncle is a bit younger, he was like that but now he has mellowed already. 8. Have you ever been dishonest about the origin of a bruise? ~ No as far as I can remember. 9. 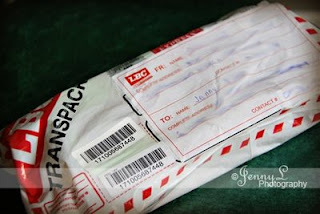 Have you ever gotten any kind of envelope in the mail without the senders return address? Did you found out who it was from? ~NO. 10. It’s our 40th QOTW. I am giving away something. Can you tell me why should I give it to you? It’s just a little something to spice up this little Meme! It was my 41st birthday last Sunday (16th) and as promised to my family, we will have a lunch all together. We had a very sumptuous lunch and all of us are all stuffed with all the food that we cooked. I saw 2 very easy shrimp recipes online and i thought I'd cooked it and it turned out to be delicious. We also cooked baked spare ribs the recipe is from Nora Daza and no doubt it was a blockbuster too. I also made my fruit/buko salad that everyone loved bec. it was creamy and it melts in your mouth. We all just ate like there is no tomorrow hahaha. The kids really loved the grilled spare ribs which is a bit sweet. The adults love the shrimps and of course the deserts. I even teased them that they will need Fentraphen if they will not control munchin and munchin'..lol It was a very happy occasion. I'm 41 now and wow, many says that I don't look my age, thanks to all those comments. Oh BTW, my b-day bash contest is still running at my other blog hope you can still join. Christmas is fast approaching isn’t it and actually I still need to make a long list what I need to buy since I hate the last minute shopping during Christmas season. Not only it is tiring due to traffic, it is much expensive as well as most of the stores mark their prices. Anyway, I guess you once experienced thinking what to buy for a friend or an office mate that can me unique or something special. It shouldn’t be expensive at all since the most important thing is that you remember them and it is coming from your heart. If you opted for jewellery as a gift then I can suggest that a sterling silver jewelry is a good option to purchase for a love one or even for yourself. It’s a unique and perfect choice and the person that will receive it would definitely be delighted to have it. 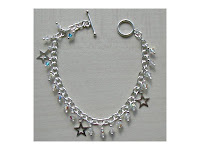 There maybe a lot of silver jewellery stores online but it’s a bit daunting to know if they are really a quality one. One online store that sells 92.5% silver jewelleries is the Key Silver, an online store based in the UK, who has been trading online since 2006. I easily find out from checking our their catalog, they feature a versatile range of affordable silver pcs. like silver necklaces, bracelets and bangles that would best suit any woman. They have new products as of this moment and for sure they will be selling like hotcakes esp. holidays are coming. I also found out that they are only selling silver jewelleries and nothing else that can be shipped worldwide in a special organza packing that is already presentable to give to anyone. What it makes more exciting that they ship free of charge.. hmmm that is cool isn’t it? Check them out today! Toot Toot! I got a new lens baby! I went to Quaipo Wednesday morning to buy my new lens and it is at HENRY's in Hidalgo, Quiapo (where i also bought my camera) where I bought my Canon EFS 18-200mm IS (image stabilizer) lens /f 3.5-5.6. I am trying to haggle for the price but my charm didn't work haha, they said that price is like that which I agree. 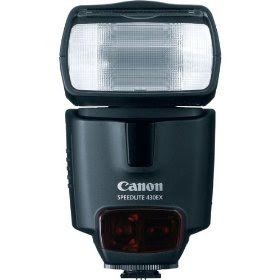 Anyway, I bought it since I really wanted the focal range of it and this is the b-day gift for myself. Sample shot can be found HERE. Hmmm I am getting excited, 2 more days and candles will be lit. Can you guess what is the occasion? If you are reading my blog then you know what it is. Gosh I know I can't control myself again on Sunday for there will be yummy foods that will be served. I am not dieting or anything and still don't need any reviews about best diet pills, all I know is that I will eat lotsa food on that special event. I think was almost scammed by a woman who came into my store whom I believe is posing as our relatives. Went to the mall alone and bought my new eyeglasses. Also bought new decors for the Christmas tree. Christmas is just really near bec. lots of people are already buying decors for their homes. Some seemed to be canvassing or looking for Christmas gifts. This was taken at the Day Dream Island when we went island hopping in Australia last March '08. You could see a family of dolphins swimming together, but hey don' t be fooled they are just dolphin fountains inside the island's man made aquarium. Kids will love to go there coz they'll see lots of salt water creatures. Hey, all i hope you are all having a great weekend together with your family. I have been busy lately jumping from one blog to another (you know I have several) updating them. 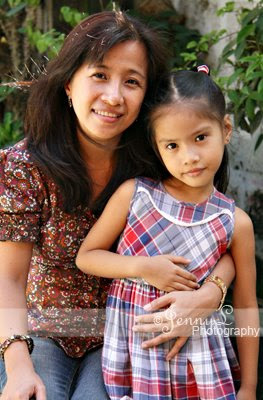 You can always see update on my Jenny Talks blog bec. I am also hosting my b-day contest there. My days are just a routine and it's a bit boring at times how'd I wish I can have another vacation again in Australia or somewhere else. My birthday is coming in few more days and ctually I am getting excited bec. 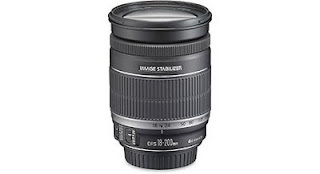 I guess I am going to get the Canon 18-200mm lens that I have been eyeing. I'm keeing my fingers crossed. So anyway, don't forget to viist my jenny talks blog for other updates. Can you still remember the days when you used to hear music by playing LP records on a turntable? Gone were the days huh? but there are some people who use to have something like this. This is an old turntable collection of my bro along with his old records that he collects. I used to play Madonna, Wham and Aha LP's back in the 80's and isn't it funny when the music will "jump" while it was playing? hahaha. Join us at Litratong Pinoy. I have another entry at my other blog. Naalala nyo pa ba nung nakikinig kayo ng musika gamit ang turntable? Wala na ang mga araw na iyon ano? pero may gumagamit pa rin nito lalo yung mga kolektor. Around 1 pm we went to the cemetery to visit the tomb of my dad. The weather was gloomy but at least it did not rain and it spared us from walking in a muddy cemetery. We bought lotsa food like spaghetti, carbonara, siomai, siopao, bibingka (sticky rice), vegetable salad, fruit salad w/o the cream. Gosh, we are just so full eating all the time bec. there's not much to do. The kids enjoyed getting the melted candle wax and it reminds me of my childhood days when I use to do that also. My teenage nephews and nieces had an endless chitchat and they while playing their home made playing cards. Most of the adults passed the time talking about scary stuff and other things and that includes cheap auto insurance bec. in no time it's our registration once again. Wish we are complete (family) so we'll more fun times with our chitchats. I also brought my DSLR but I didn't have lots of photos taken while there and there's not much to shoot anyway. A mass was held at the cemetery's circle but of course it was noisy and there are too much destruction, we weren't able to concentrate. We are glad that it didn't rain, we stayed there till night around 6:30 pm. It was still tiring eventhough we just ate and make chit chats in the cemetery. Went out with my 2 niece to the mall to shift into my shopping mode but I end up buying nothing much actually. Gosh I had a burning and aching feet bec. of too much walking. Ate at Yellow Cab in Robinson's Galleria after 10 million years of thinking what and where to eat. I arranged the flowers in the basket this morning that we will be bringing to the cemetery. We had chrysanthemum, Malaysian mumps, lily flowers and i just took some ferns and leaves or birds of paradise in our garden. We'll be visiting my dad, grandparents and uncle's tomb. See you next week!! Be sure to visit here bec. I have a great contest coming up! We're off to the cemetery now. See ya'll! 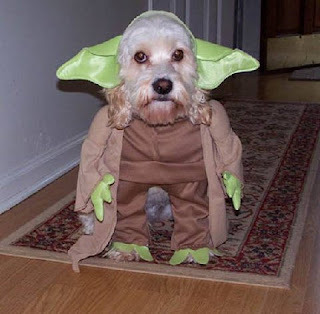 Everyone is busy right now preparing for the Halloween Party but hey doggies will not be left behind. 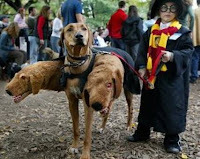 I got this forwarded from my e-mail and I think these dogs are sooooo cute... Their owners really love them and even made some efforts in buying or creating costumes for them. 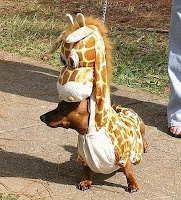 Love that Giraffe costume, soooo funny! Click the images for bigger view. Happy Halloween everyone! I am munching some right now and oh boy it is sooo delicious. Bought it at Puregold grocery the last time I went there. It's actually made in Cebu and it is also an export quality. 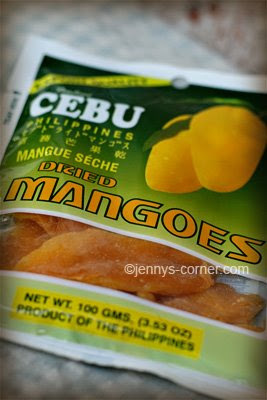 I guess Pinoys would love to taste this sweet dried mangoes when they are abroad. It's mouth watering dessert that I can have most of the times. This medium pack (100 grms) costs about P53.00 not bad huh for a tasty and delicuous snack. Dried mangoes + Coke solo = my sinful snack for this afternoon! Stop Jen! Stop! , others do paid post blogging, and many more. I have not joined surveys and reading ads on email but I heard some earn from that. 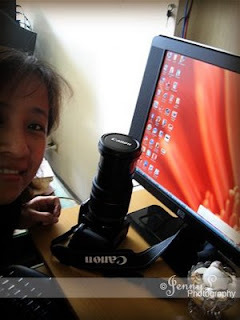 Ahhh with the crisis goin on, I as a blogger strive hard to look for more ways on how I can extra esp. that the holidays are coming bec. you know expenses are expected. We can’t blame anyone to look for other ways, for me this is ok as long as you are not doing anything illegal. It is best to paid blog rather than being a corrupt gov’t official. Yay! Have a great day everyone! It is really 100%positive that blogging is really on my system now bec. how many times I have experienced dreaming of myself blogging. I saw myself desperately trying too grab an opp and hurriedly writing about the review in a fast manner so that it will not expire hahaha. The haggard look on my face is so clear as I try to maximize my thoughts and trying to squeeze 300 words outta my brain. Hahaha. I bet you have once experienced dreaming about yourself blogging too huh? Tell me what is yours. Holidays are coming and some may have started buying gifts for their love ones for Christmas. I know someone who has done it already and that is my sister Joy. Imagine she has already wrapped some of them as early as last month. Hmmm I guess she doesn’t want to be in a rush bec. they will be out of town too. For us who have not yet started buying bec. I still have to list all the people that I will give gifts. One of the practical ways of to save on items that we shop is we hunt for great deals and discounts. Another way is people use coupon codes or voucher codes to save some bucks. Oh BTW, if your are planning to buy LCD TV or plasma here’s a big screen center coupon codes that you can use. It’s not on my list this Christmas but I hope in the future I’ll be the proud owner of one. 6. How do you react when you find out that your closest friend dated your ex? Awww... if my ex and I have a good separation and I don't have any feelings for him for a long time, then probably It'll be ok but it will be uncomfortable to know syempre. 7. Do your heart and your mind ever disagree? Sometimes they clash and that leads to my wrong decisions. own life only for it to back-fire on you ? Nope, but I can't say I didn't gossip on anyone. 10. I am in the phase of my life when I reckon that love is not for everyone hahaha.. bitter!!! I was watching the news lately and reading some articles online about global warming and sometimes we never thought it has bearing on our daily lives. This issue seems to be so deep that we never care sometimes. It is more shocking to know that the Arctic Ice is melting too fast due to the effects of global warming. 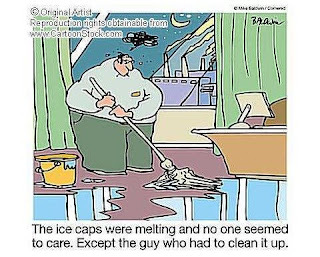 There’s no wonder why there are massive flooding all around the world and scientists even predict that by 2040, the world maybe without ice and that is too scary to happen. I just read it at the All Voices site allvoices.com, a current events new site where you can read lots of new stories about politics, science and tech. and more from around the globe written by their contributors. There are many informative news that we all can read about, sometimes, it’s also enriching to read news pertaining about science and technology. I was also able to watch a small part of a semi-documentary TV show two days ago while flickering the remote. I was deeply saddened to know that there is a small village in Africa where their well of water suddenly dried up bec. of the severe heat. Now they have to walk 2 hours just to get water in a well for their drinking and for their animals. Some villagers even have no choice but to sell their cattle due to lack of water. This is already alarming and global warming is really affecting our weather patterns. Just like here, it’s been raining for the past days but it is still hot and humid. I have noticed lately that the weather changes dramatically over the past few months. Just last month when a typhoon hit our place, it is the 1st time ever that our subdivision became flooded, to think that we have been living there for the last 20 years. It is the 1st time that we have flooded streets and the flood is so thick and brown ( rain waters and soil) and we suspected it coming from from the hillsides of Antipolo. I guess there are massive cutting of the trees that is why there's are no more trees to hold on to the rain waters. It's always been hot and humid most of the times that is why there are many people who are getting sick each day esp. the kids. I also got colds last week bec. of the heat. There are also many heat related illnesses that keeps people uncomfortable. Global warming is really upon and us and this is daunting. This morning it is raining and right now, the sun is up and so hot but I could see a huge black cloud at the sky and for sure it will rain again later.. Keep safe everyone! It’s always fun to own a website or a blog with your own domain. I have few friends that I have encouraged to make one for them and now they are enjoying as well. Also know someone that is having a hard time bec. of her server being down most of the times. It’s not fun at all when your server is like that. How can you attract customers or visitors when your site is always down? I suggested that she needs to transfer her blog asap to a new reliable and dedicated hosting service if she wants to keep her readers and to spare her from more headache. Just read reviews about Canadian Web Hosting, it is where you can you can browse for their host packages that will suit your needs and your budget. The Internet is fast evolving so you need to keep with the times Nowadays, a fast, reliable and with good technical support from your host should be on your top priority when you plan to launch your own website. A site that is always down or unreachable has no place in the World Wide Web. To get you started try to research and compare prices and features before hand bec. it will pay off in the end. Wow, it’s weekend once again and it’s the time to have a little rest from a one whole week of working here at my net café. I hope you are all enjoying spending time with your family and just savor the bonding times that you will get out of it. It’s been ages since I went to the mall and kinda relax for a while and so I thought that I will do some strolling and perhaps buy something to reward myself. I will be with my niece and I guess we will be leaving after lunch or so. 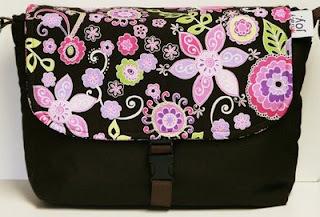 I intend to buy an everyday bag plus some office supplies that I will be using for my desktop publishing business. For sure my niece and I will eat somewhere; I am craving for a blueberry cheesecake right now so I guess we’ll look at Red Ribbon shop if it is available. For sure I will be passing my the watch stores again and I will just canvass (don’t buy Jen ok!) for new styles or sales that they got. Ok need to eat lunch by now and we’ll be off to the mall later. Catch you all tomorrow! Tooot tooot!! 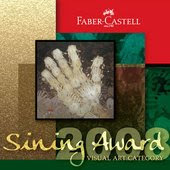 Faber Castell recently held a Painting Competition entitled: Sining Award 2008 and 2 of my brothers joined the said competition. They worked so hard for their entries, thinking what theme or what composition they will choose. My 2 bros always participates in competitions but my older bro. Ronald can join both photography in and painting competitions where he is passionate about. Contests where he won: AAP Contest 2007 as Honorable Mention: See his winning photo HERE. His other works here. Anyway, my brother bagged the 2nd prize in this Sining Awards 2008 by Faber Castell with these old bottles that he painted. Wish you can see the real painting bec. it looks very realistic. The awarding ceremony took place at the GSIS building last Oct. 22. Of course we are proud of him. Ok I am excited now bec. my birthday is coming next month. I have been saving a lot by not going to shopping malls or shopping online like what my co- Bebots had done or buying digital kits lately (except for the 2 $1 each loot that I got 2 weeks ago) bec. I am saving to probably buy one or 2 on my wish list. 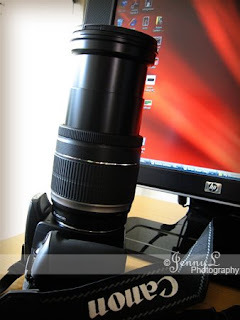 Actually, I badly need a new lens for my Rebel and that lens is perfect as my all around lens. I am constantly using my nifty fity 50mm lens but it as no zoom that is why I have a hard time most of the times when I need to shoot wide. It's been many days now that one (1) pc here at my net cafe is down. I troubled shoot it for a while but my efforts seems futile bec. I wasn't able to make it work. When I tried to boot the pc it will just hang and won't continue to open. I tried opening several times but still nothing happened. I asked my sister in law (my partner in crime hehe) to open the computer and check on the parts maybe their are only loose ones (as instructed by our techinican when we called on the phone). Much worse happened bec. it has no power. I have only few units and it's a problem when my customers come or flock at the same time. I need to have it repaired so I told my SIL to bring it to the technician. The technician called today and he told me that the video card is the culprit. So we need to buy one asap and I hope it it cheap like the used cisco products. I badly need the pc at my cafe and I am hoping by tomorrow it will be working fine like it used to be. I slept here at my shop last Monday hoping to catch the much awaited opps from a company that alerted us that they will send new ones by Oct. 20th. Many of us Bebots have waited patiently for it last Monday that is why I even brought my blanket and pillow case and spent the night here. We have been refreshing the page over and over again and as I was joking I am having a vigil hahaha. It was around 12:30 am that I decided to sleep already when I realized that it will not come anymore. It was a bit hard to sleep here since there is no bed, i just had a foam and some few pillows. I did not fall asleep so quickly bec. it was a it noisy outside. I got some few hours of sleep and I woke up very early at 5;00 am and luckily I got an opp by 6:00 am which is $20 from another co. and that is good. Right now we are still waiting for the bunch of opps from the other co and it loooks like it will not come any time soon but I am prepared to sleep over here at my store again when it comes. Ok I have noticed lately that I have been putting off a lot of things in my life that really needs some attention. My social and love life (meron ba??) has suffered by my attitude in the last few weeks. I don't know I have many things to do but somehow I can't do it and I am just so lazy. I guess I am going through a phase in my life where I need to get out of my comfort zone and break out of my shell. Some of the things to be done. 4. Go to the salon for haircut, hair spa and hair color. Gosh I have these list long time ago but still I can do them. Sissy Joy created this fun photo meme where we need to post pictures of toys with a theme each week. Toy Hunt begins Oct. 21 with Toys That Sings/ Or with Music as the theme. I hope you can join us esp. those mommies that have kids, but it is open to ALL. 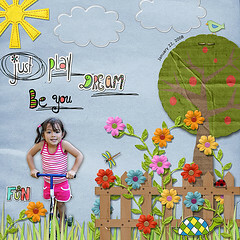 I have an entry on my other blog and it is sooooo cute. Hope you can check it out. Join us this if you only like NO ONE is force to join. 3. If you have more than one blog, please post this to all of your blogs, the more the merrier. 4. The use of NO FOLLOW on links is not allowed, Let's all be fair! 5. Remember to come back here at JENNY TALKS (pls. don't change this link)and leave the exact post url so I can add you to the master list to help increase our rankings and improve our Technorati Authority. 6. Spread the virus.. oooopps I mean the VIRAL LINKING and happy blogging! BLOGGERS:#1. Scraps & Shots #2. Simply Jen 3. This and That 4. Fab & Chic Finds 5.A Slice of Life 6. Jenny Talks 7. 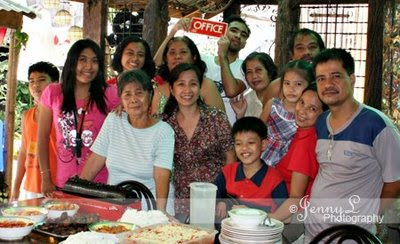 It's my mom's 76th Birthday last Oct. 18 and we had a very sumptuous lunch. Actually we are not complete bec. my other 2 sisters and their family were in Sydney and Riyadh, and we wish they are here to celebrate it with us. We had bb-qued chicken wings, liempo, tilapia, chopseuy and sinigang. Birthday is also not complete w/o spaghetti and cake plus I made a special fruit (buko salad) that everyone like. See my fruit salad recipe here.